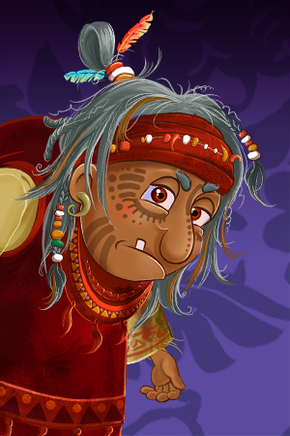 Yogha is a mysterious inhabitant of the thick forests. She is a merchant who sells various magical goods. As greedy and grumpy as she is, she will never miss out on a profitable deal; but any item purchased from her is always at a good hour.